It seems that no matter how often we’re reminded of the dangers, some people are still using their phones while driving. Despite the practice being illegal in many countries, the urge to reply to messages can often see drivers take their hands off the wheel and stop paying attention to the road, which can lead to lethal consequences. A survey commissioned by Samsung Netherlands found that social pressure is one of the reasons why drivers feel the need to respond to messages instantly, with a third of Dutch motorists admitting to occasionally using their phone while controlling a car. To try and combat the problem, Samsung has developed a new app called In-Traffic Reply that can reply to messages without distractions. It works by using a smartphone’s sensors, such as the GPS, to determine whether or not a person is driving. If the app detects you’re traveling at a speed that suggests you’re in a vehicle or on a bike, it’ll automatically switch on. 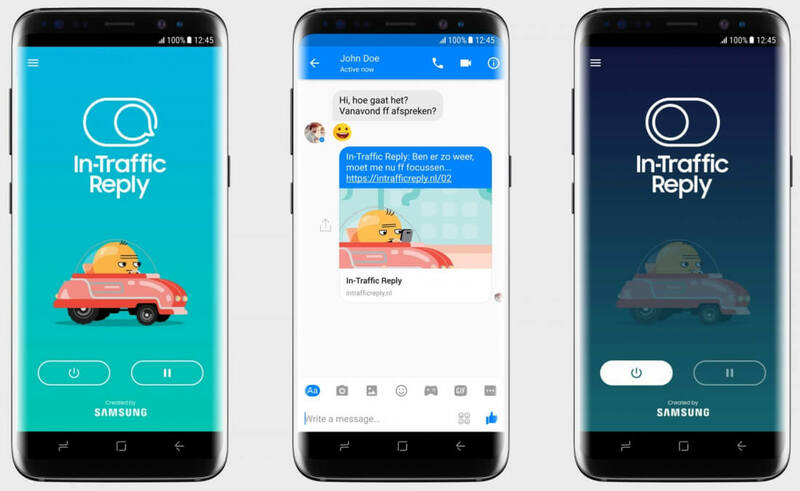 Once activated, the app will respond to incoming calls and texts with an automated reply, the default message being: “I’m driving, so I cannot answer at the moment.” Users can set their own responses and even add emoji or animated GIFs. As noted by Android Authority, Samsung isn’t exactly breaking new ground here. Apps such as SMS Auto Reply have been doing it for years, and even Google’s Android Auto has a similar feature. But if it helps reduce the number of traffic-related deaths, then In-Traffic Reply can only be a good thing. The app is currently in beta and only available to Dutch users right now. The full version will be available on the Play Store in mid-May. For those who can’t wait, an .apk file can be downloaded from the SamMobile site.